Today Far Cry 3 owner’s will be able to download some of the dlc packs, that was already available to people who pre-ordered the game. The dlc bundle includes : The Lost Expeditions, The Monkey bussiness , The Warrior , & the final one is The predator pack. All of them are split up individually : Six single Player Mission , Four new animals to hunt : the mountain lion , thylacine , white tiger , and red vulture. Two new single player weapons , tribal knife , hunter’s M700 Predator Rifle. Two Multiplayer weopons unlocks : Type 10 – flare shotgun & Predator Bow , One new character Hurk and his Monkeys. Two end of the multiplayer match movies starring Hurk and is Monkeys. 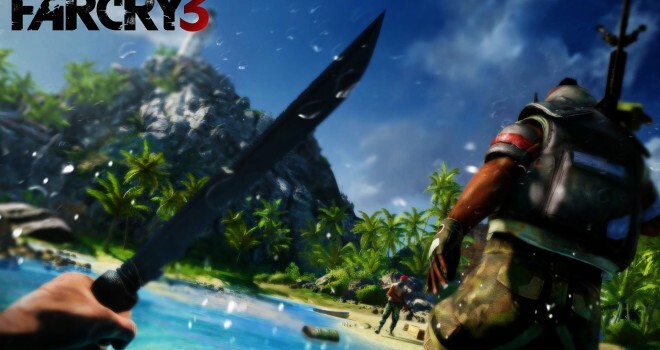 The dlc bundle is available for Xbox 360 PS3 and PC for only $10 bucks or 800 Microsoft points download and enjoy Far Cry 3 Fans.